This picture was given to me by a couple of friends who were shocked by the shapes in the mirror. They had been having bad luck for many years and could not explain it. The picture was taken before going out to a formal dinner. 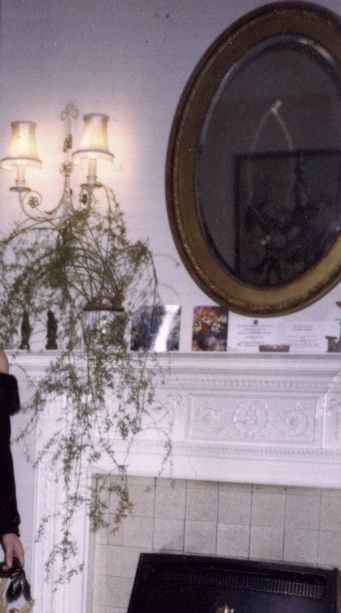 This (above) is one of two pictures taken that night and the result seen is what looks like the star of David drawn in lines of light in the mirror. You could say that this was a reflection from the flash, yes it could but there are other details that need to be taken into account. There was a second picture (Below) taken which shows another angle which shows another image which looks like two semi circles criss crossing.This could be a reflection yes, but the reflection if it really is a reflection in the first picture, then it would be a quite a startling reflection to be able to draw a star of David in it. The history of the mirror gives an added twist to the story. 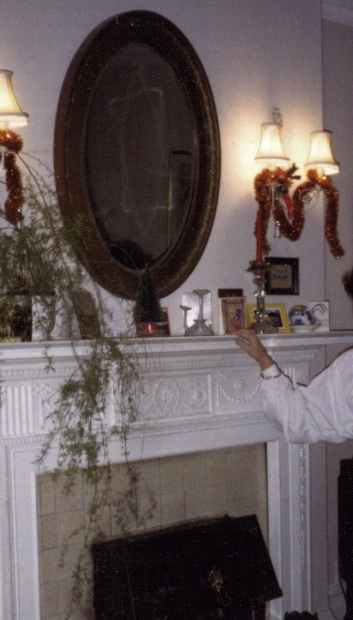 I was told that the mirror belonged to the owner of the pictures Uncle. It was passed into the family as a gift from her uncle. He was heavily involved in dark magic or Witchcraft. She had the mirror for quite a few years and never a bit of good luck in fact both ladies health suffered terribly and they a lot of financial troubles. The familys luck changed once the mirror was removed by a medium friend of mine and destroyed. He looked closely at all parts of the mirror and found no scratches or marks on the mirror before it was destroyed. Both of the ladies health and luck improved dramatically afterwards.